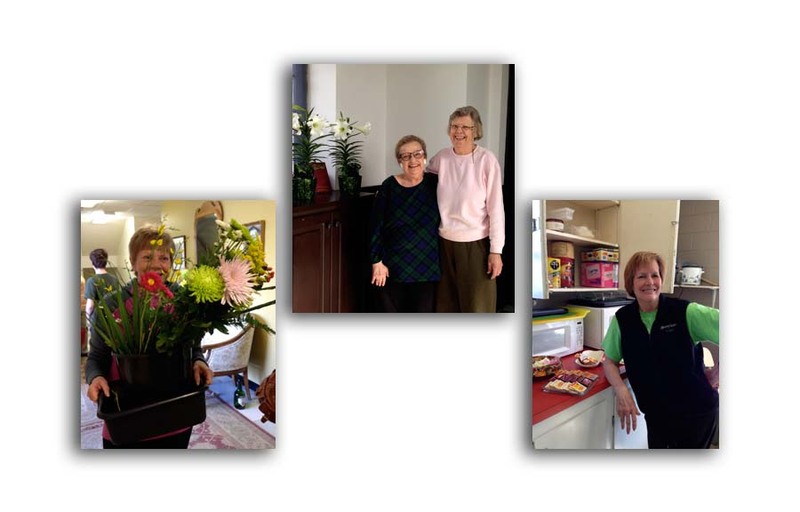 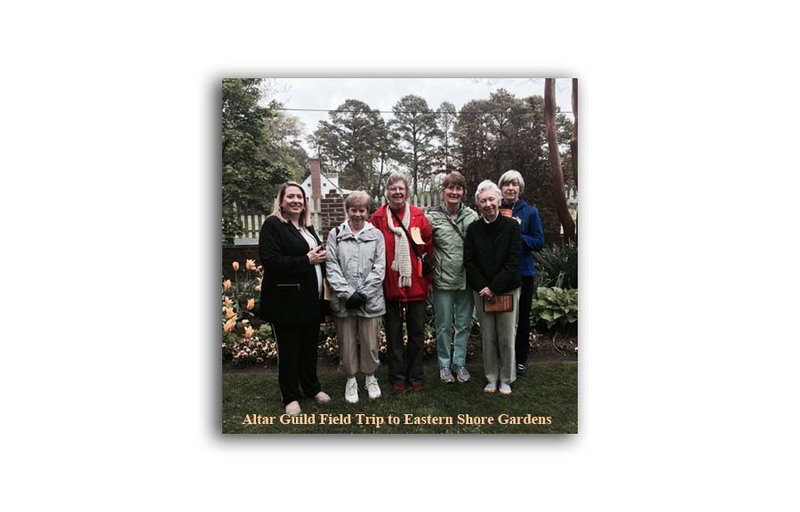 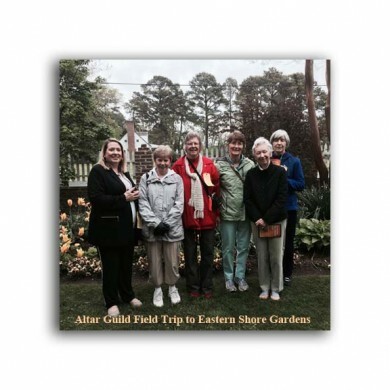 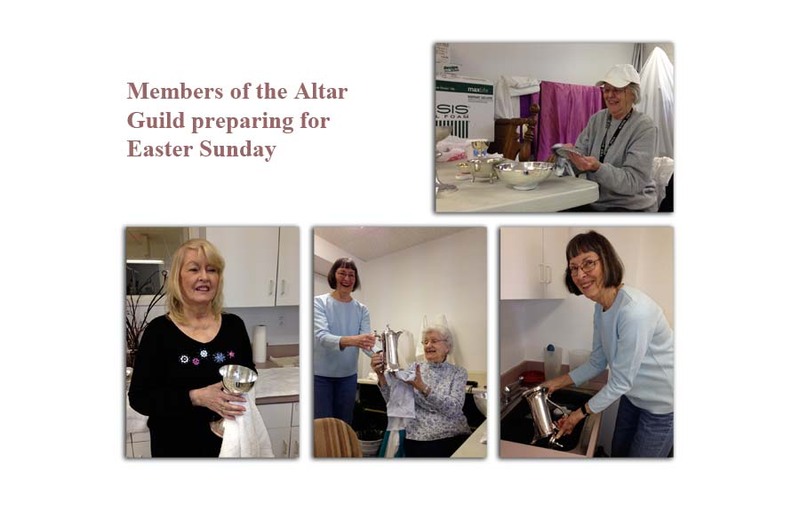 The Altar Guild is a group of women sufficiently devoted to Christ and His Church to give of themselves to the service of the altar. 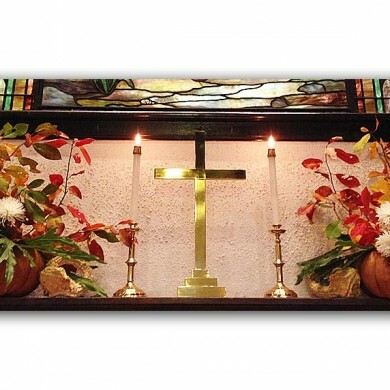 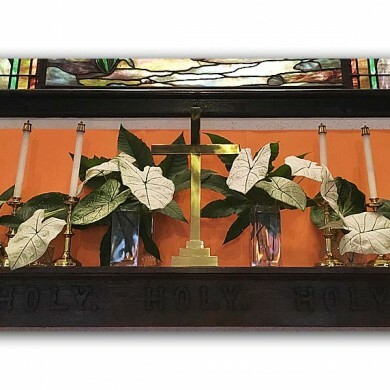 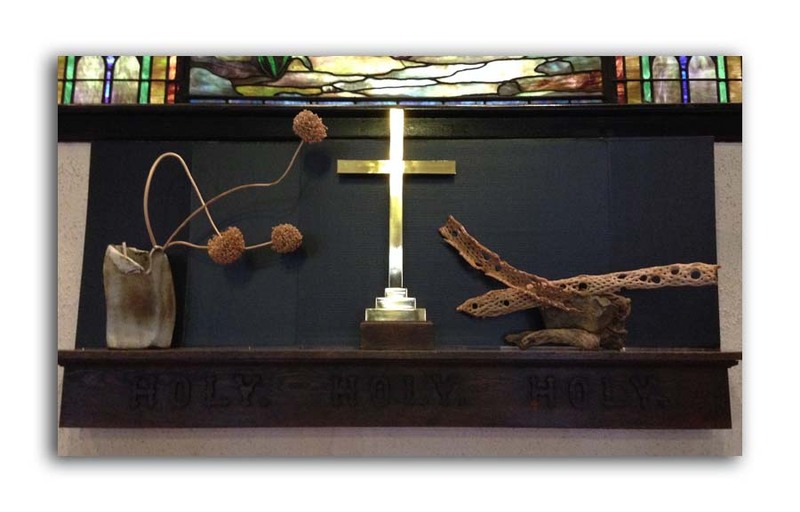 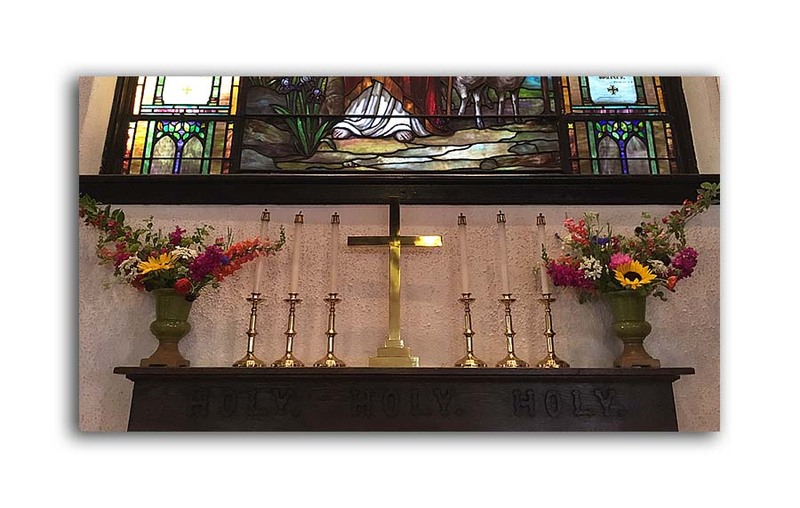 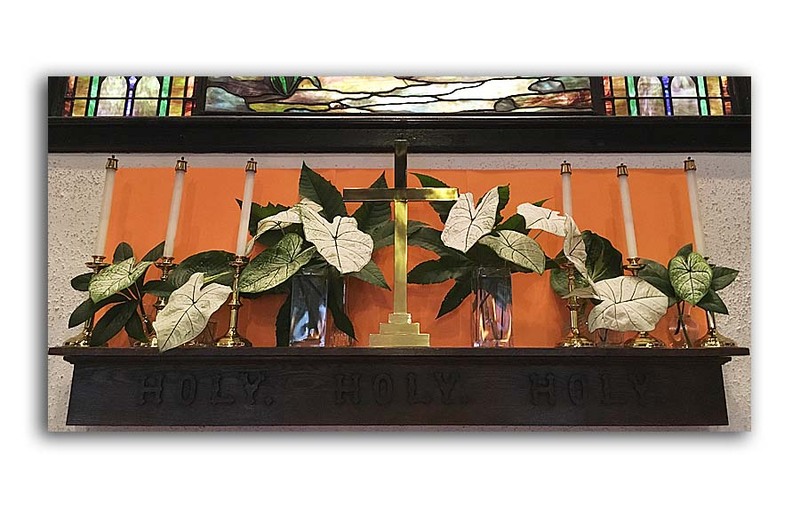 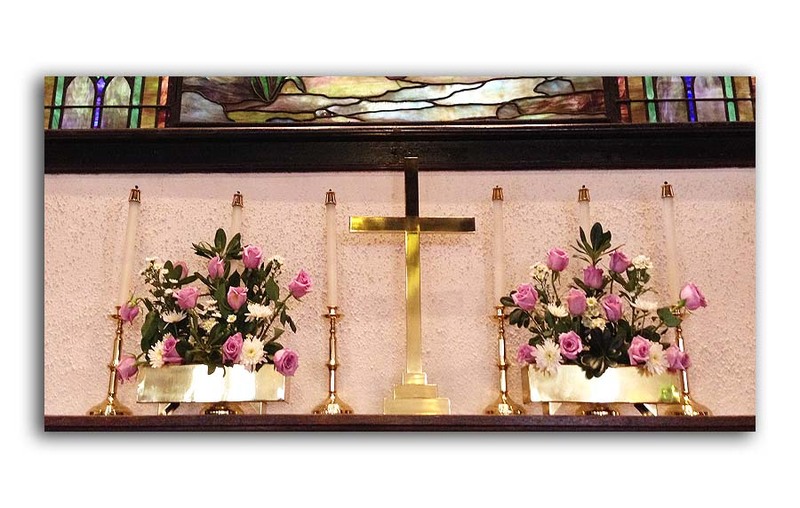 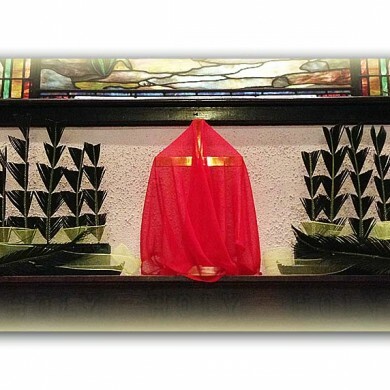 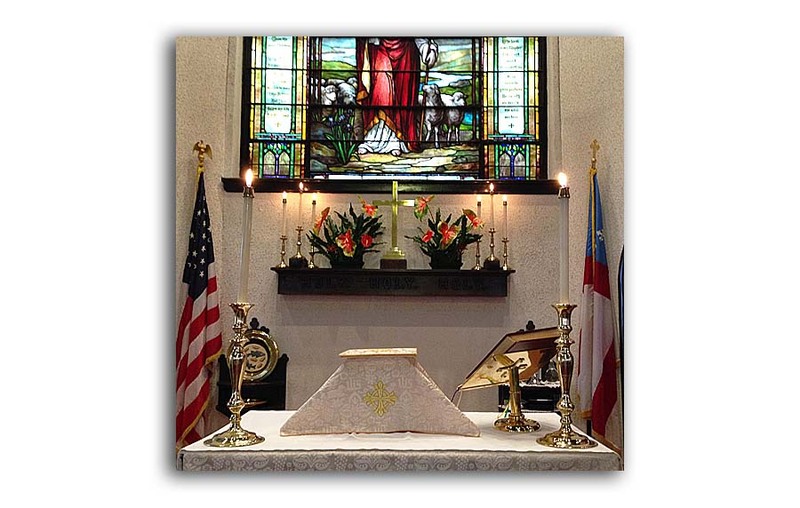 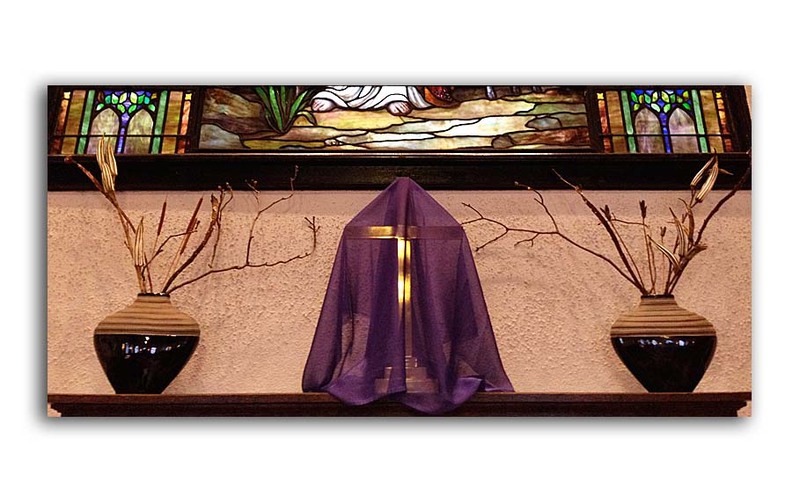 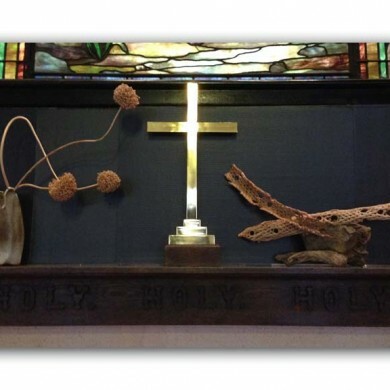 The Altar Guild is organized for the reverent care of the sanctuary, the sacred vessels, baptismal bowl, alms basin, linens, silver & brass, all church appointments used in the chancel, and the seasonal hangings. 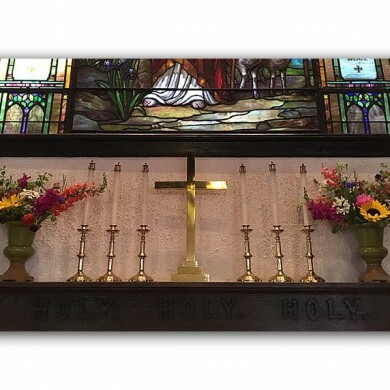 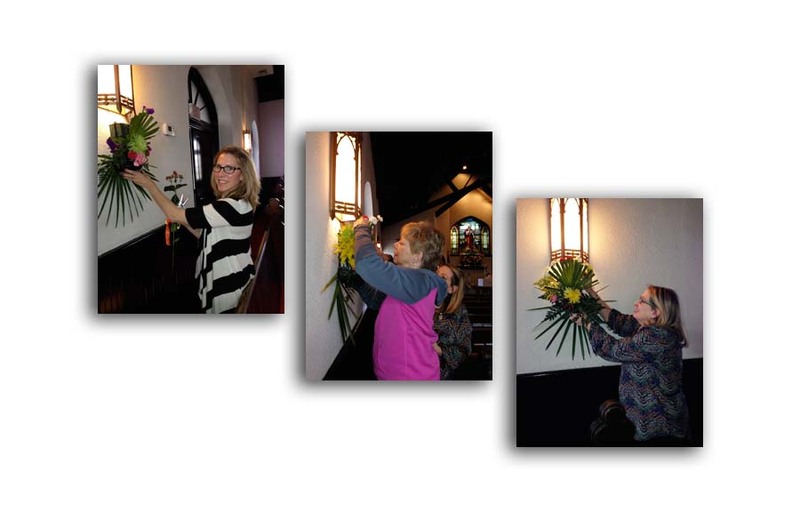 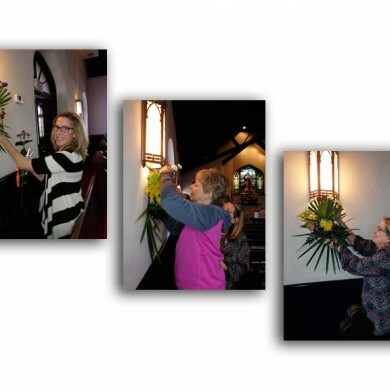 Additionally, the Guild is responsible for the altar flowers and for overseeing the Books of Common Prayer and Hymnals in the nave and for correctly marking the hymn board. 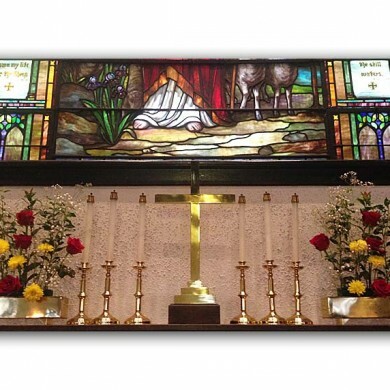 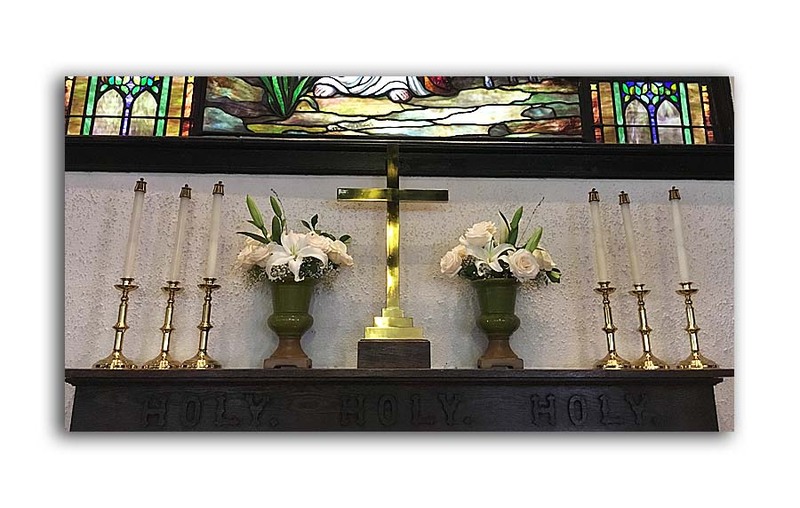 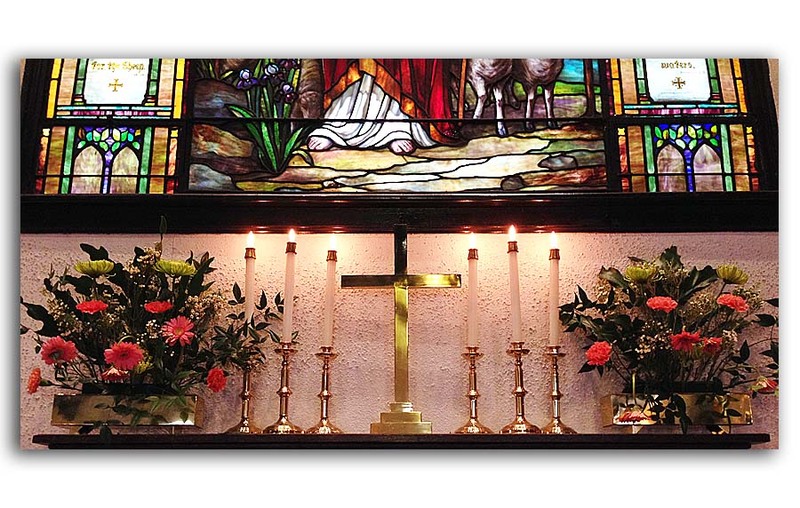 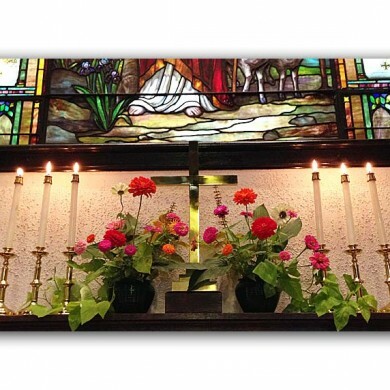 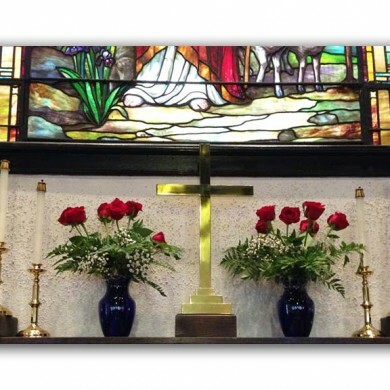 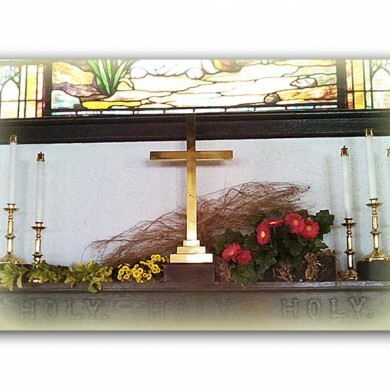 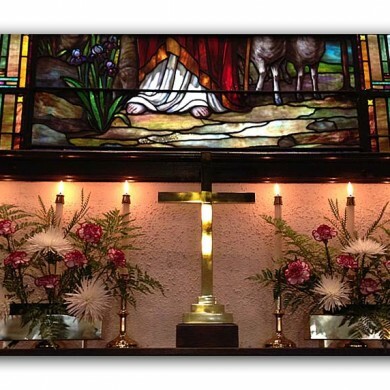 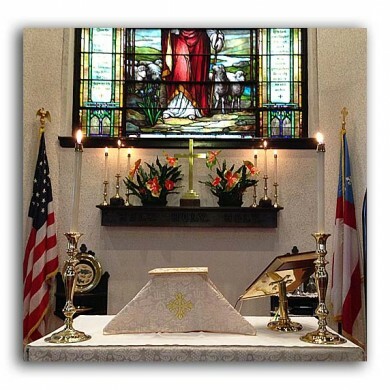 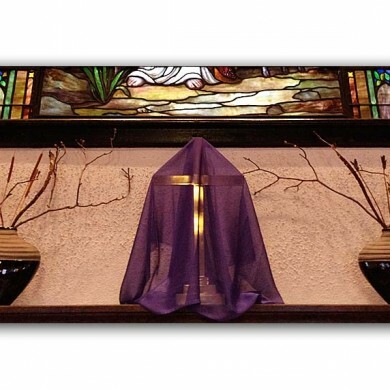 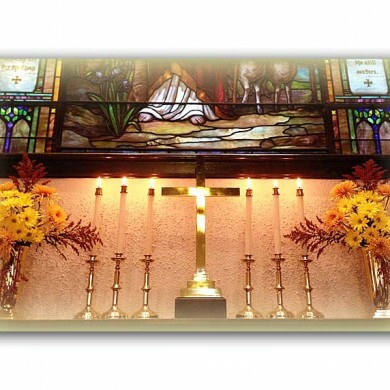 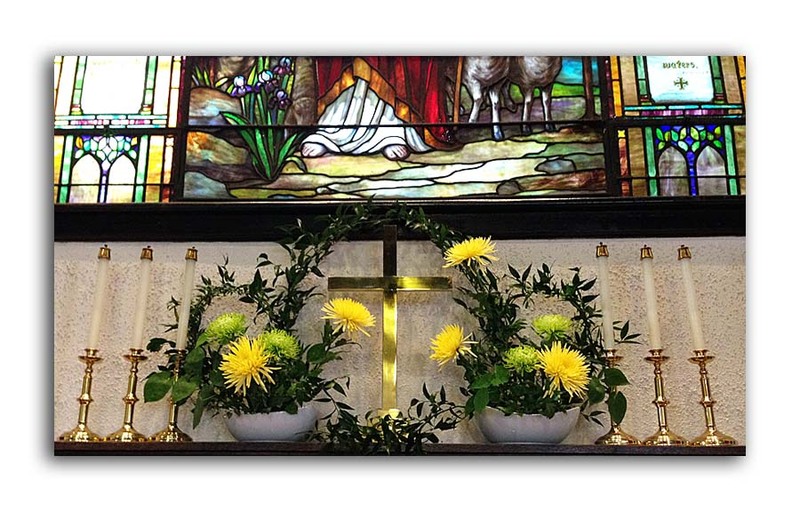 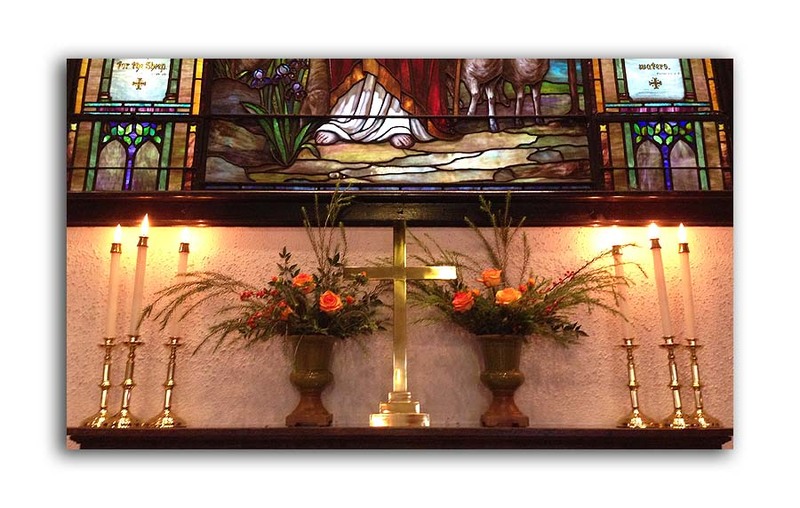 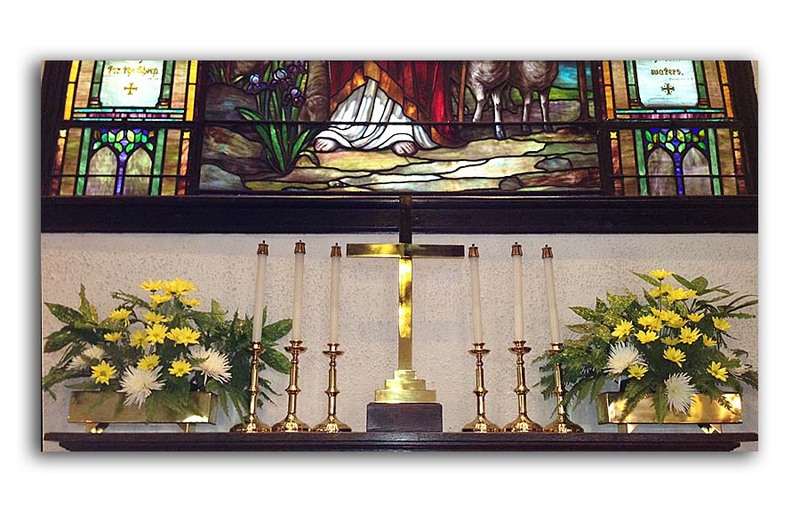 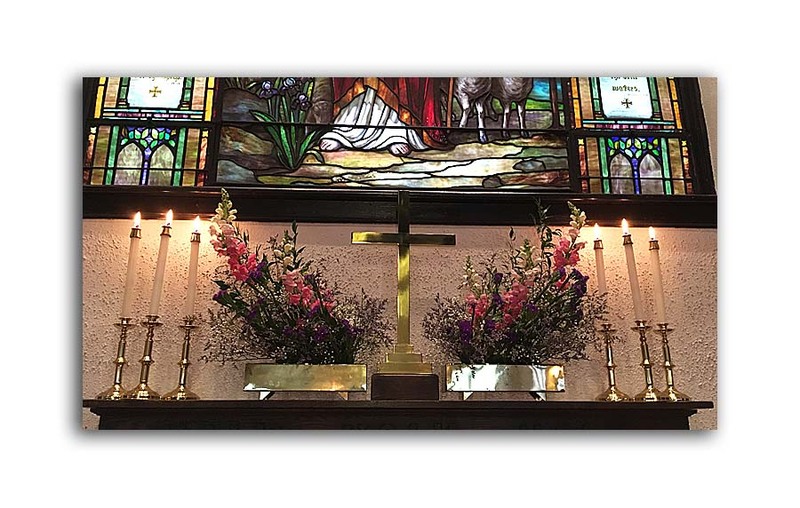 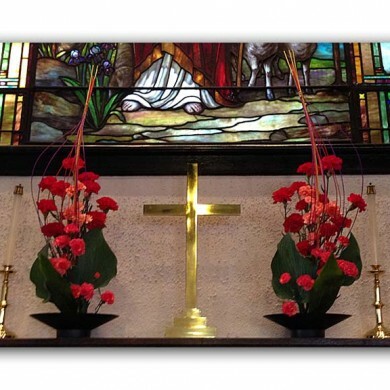 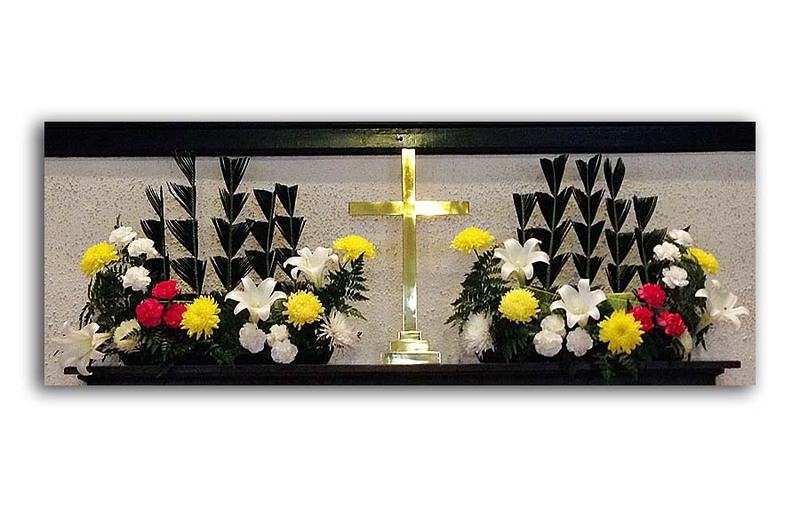 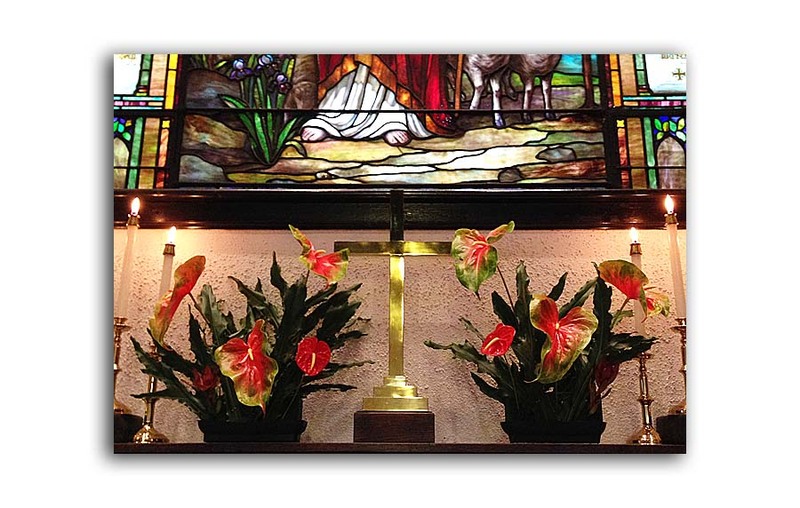 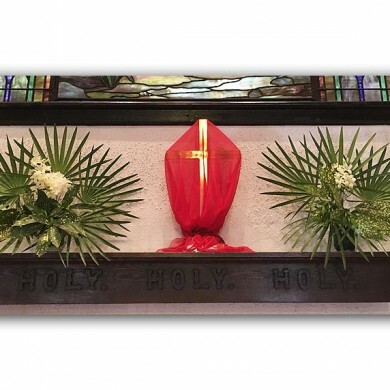 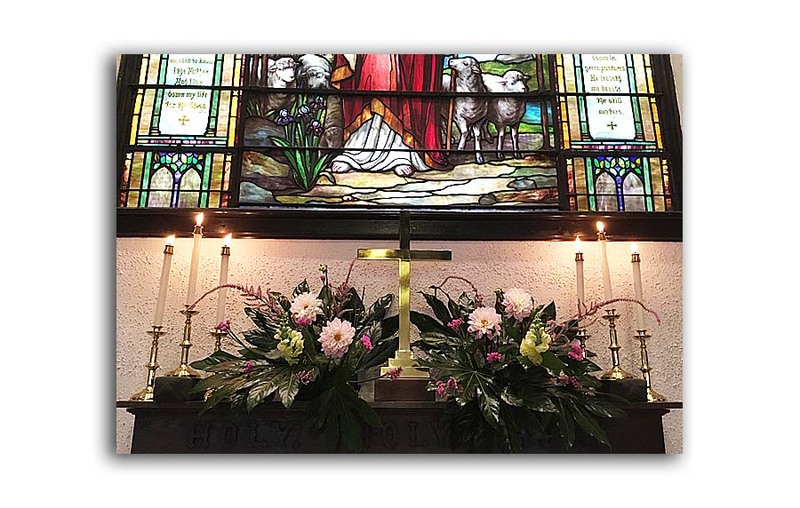 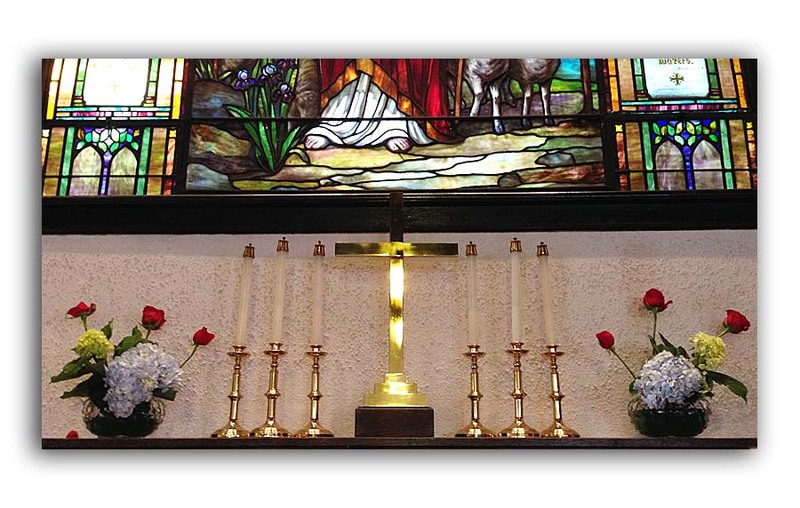 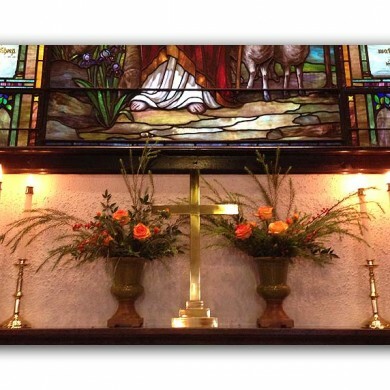 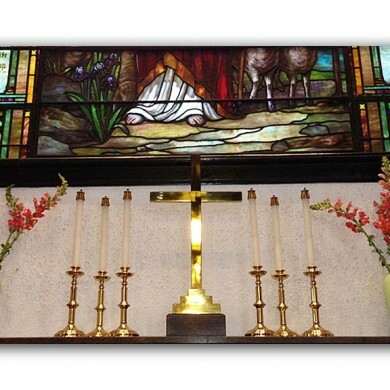 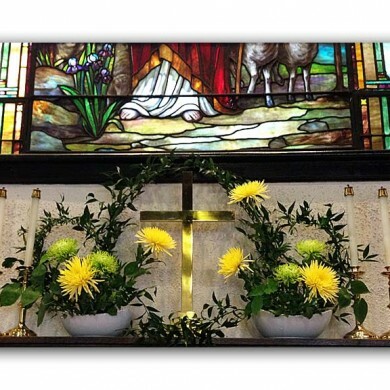 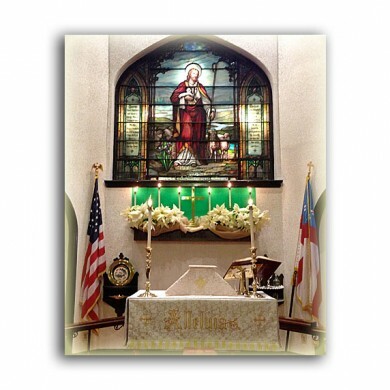 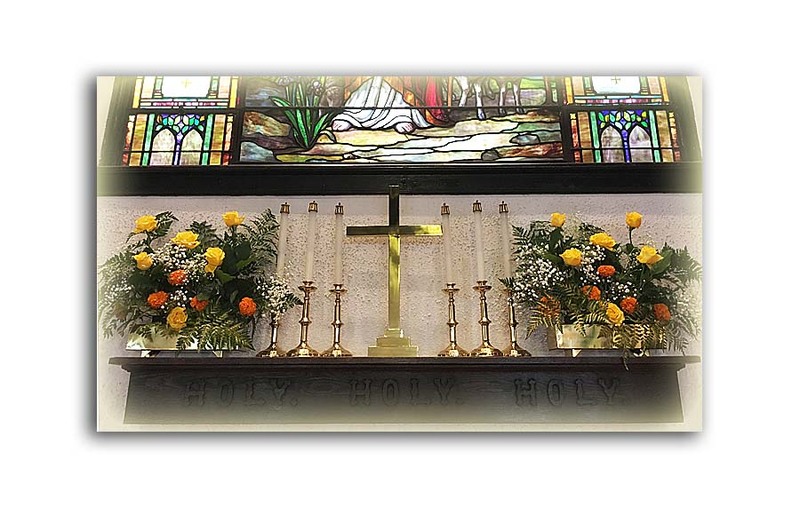 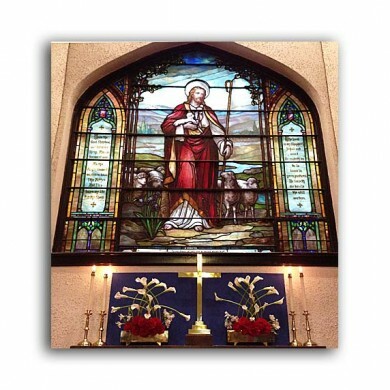 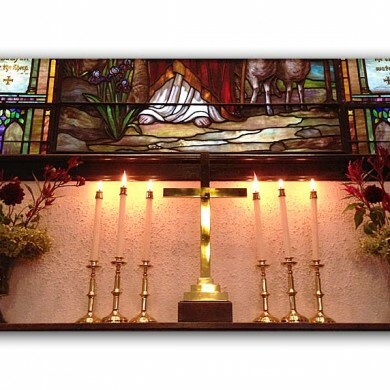 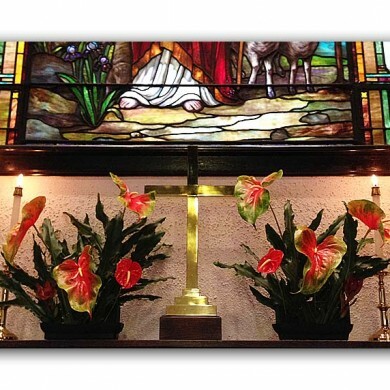 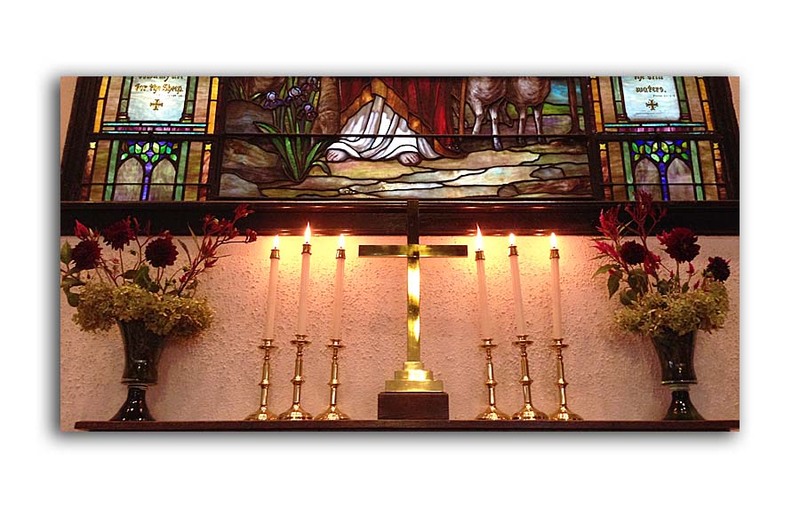 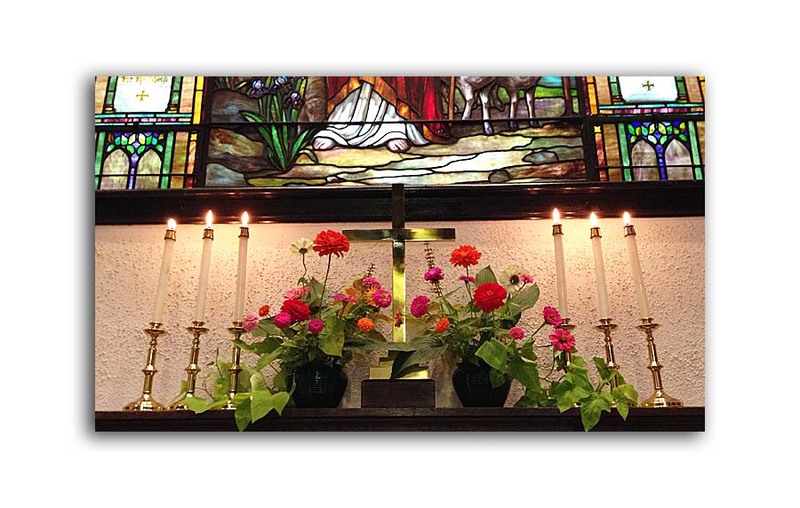 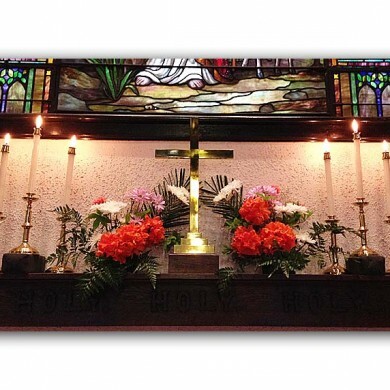 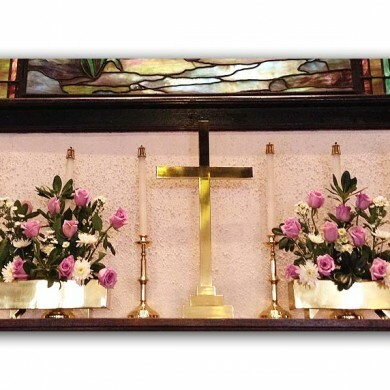 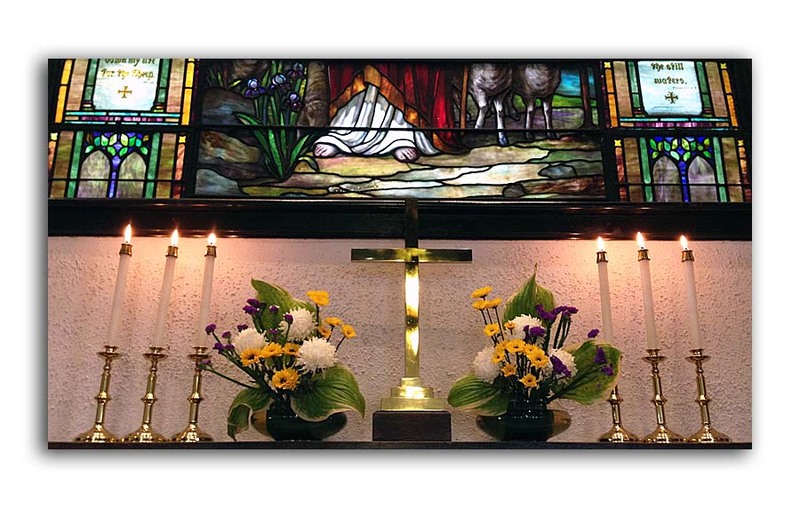 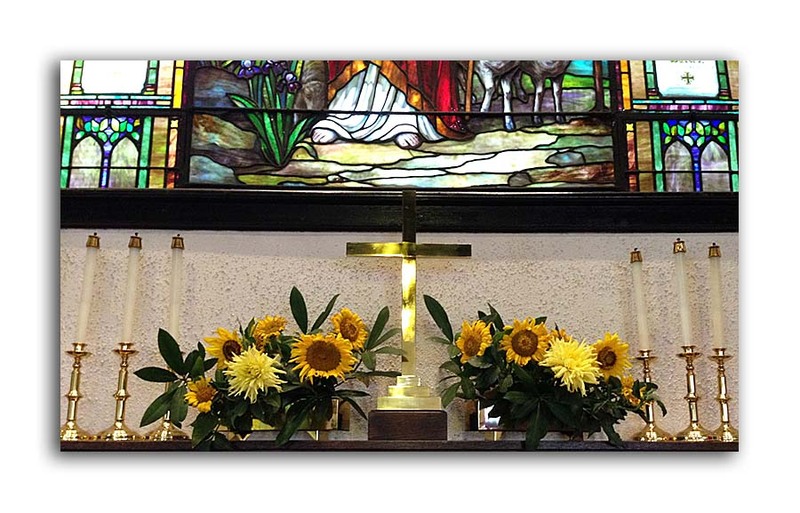 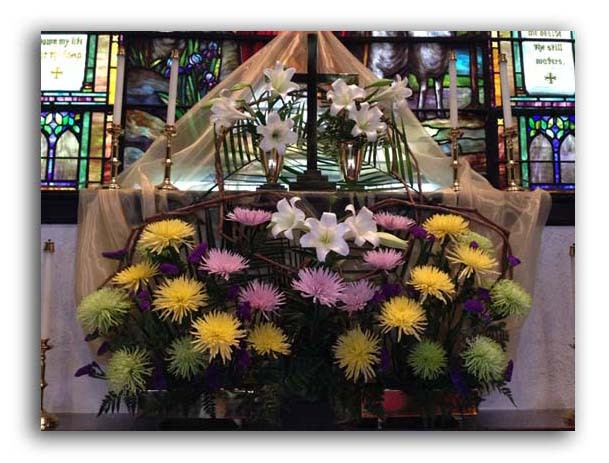 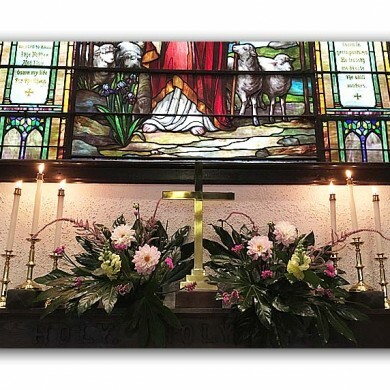 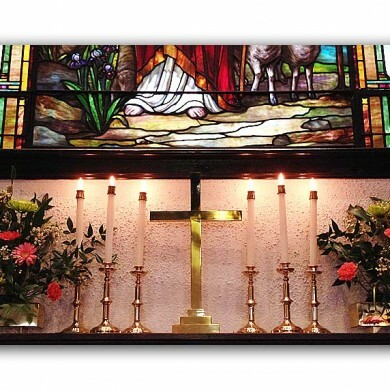 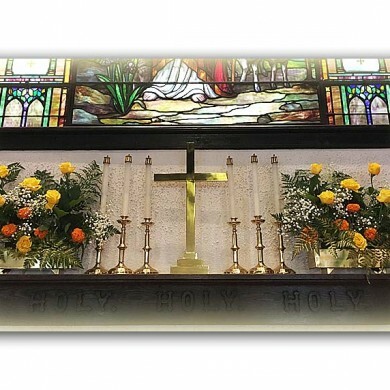 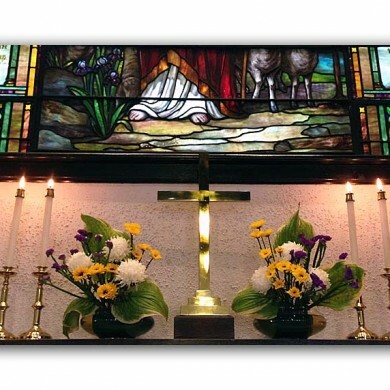 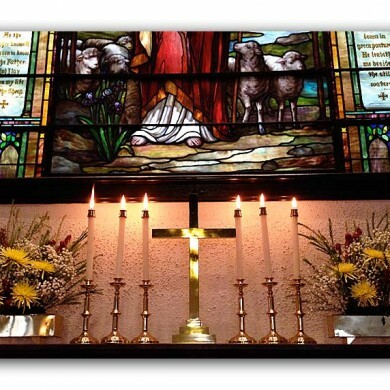 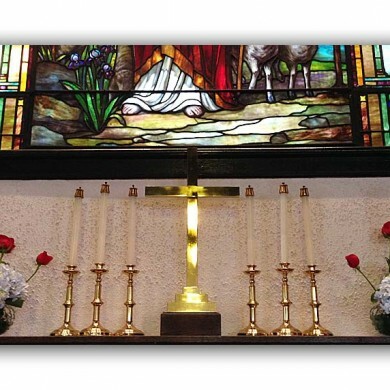 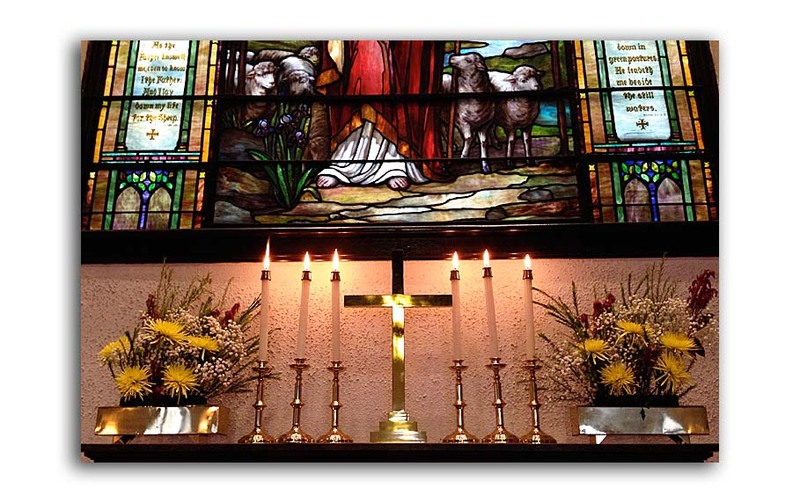 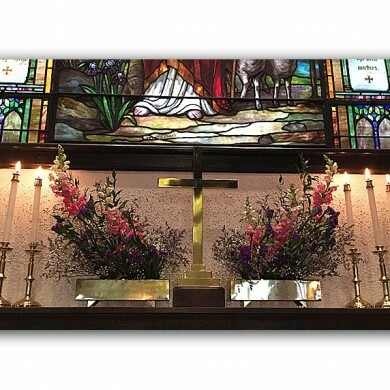 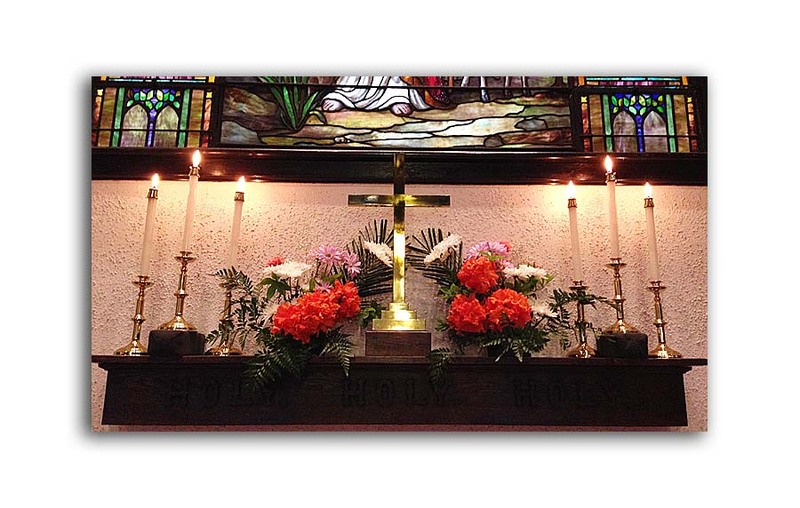 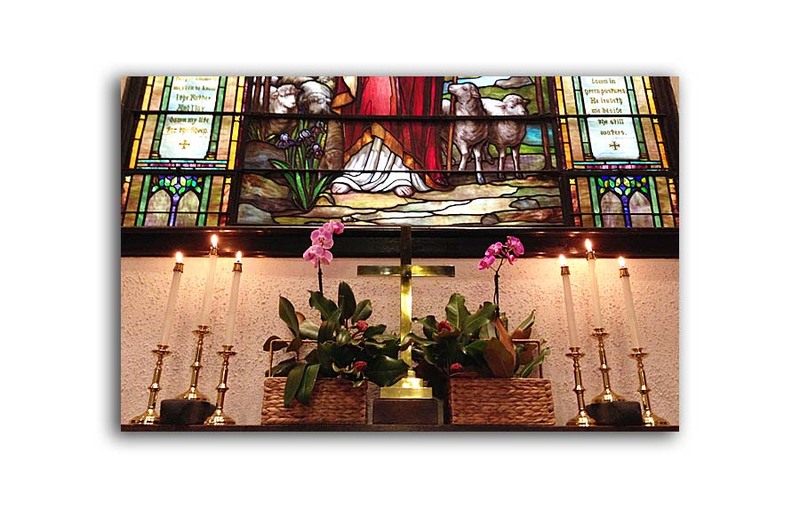 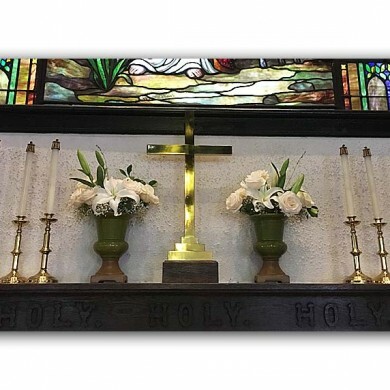 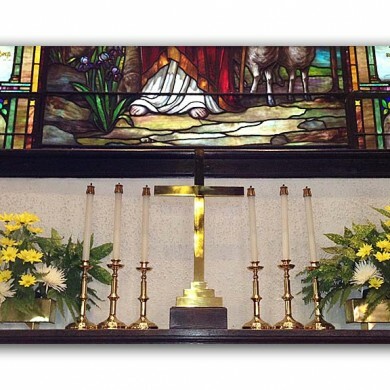 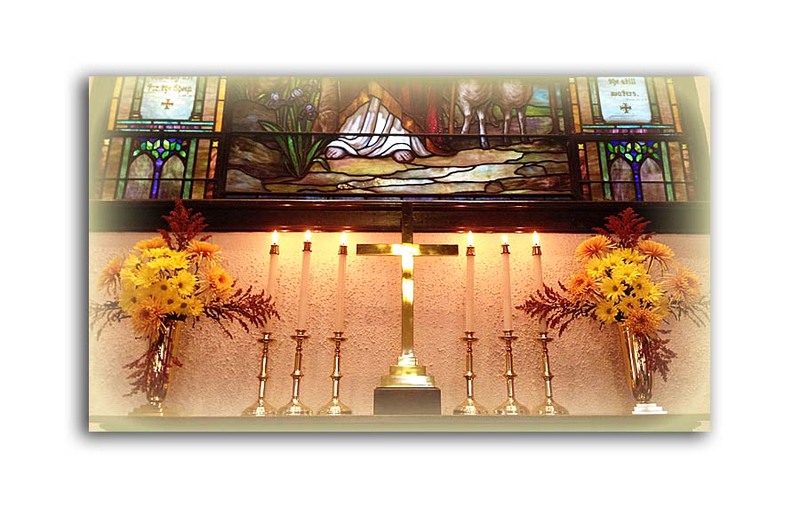 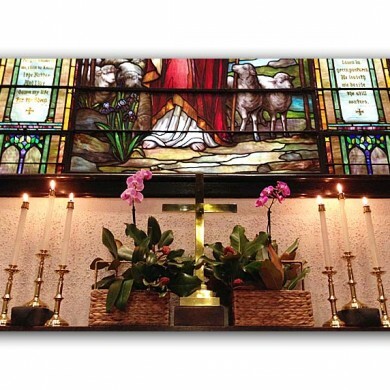 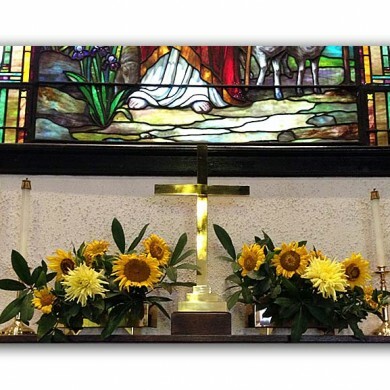 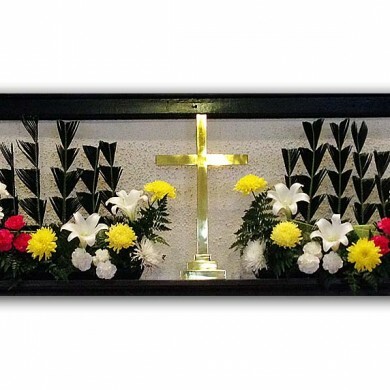 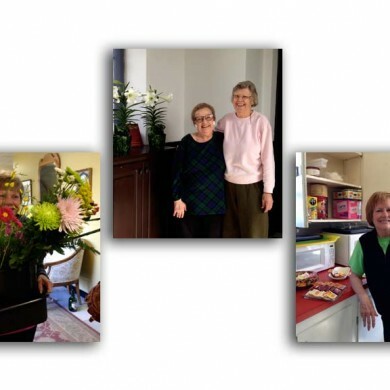 In general, we are responsible for the complete preparation of the sanctuary & chancel for all worship services, baptisms, weddings, funerals, or any other occasional service. The chairman is appointed by the priest in charge. 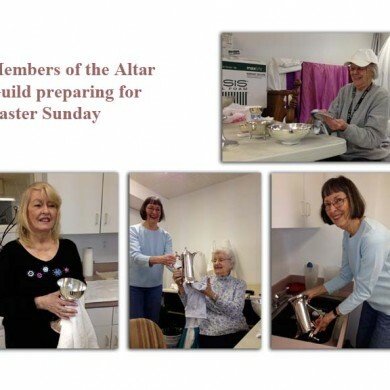 The Altar Guild is composed of four teams, each serving once a month. 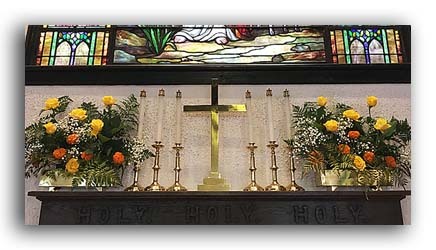 The teams alternate taking responsibility for the fifth Sunday in a month. 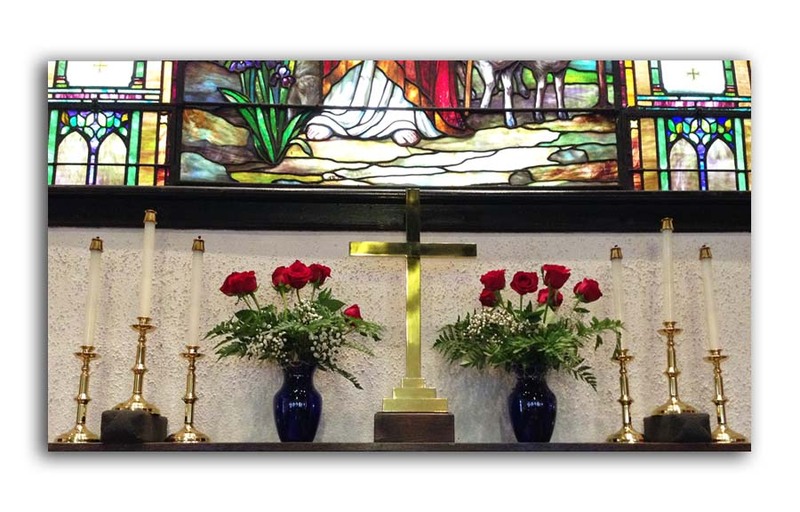 Please contact S. Neblett or B. Kelley with any questions regarding the Altar Guild. 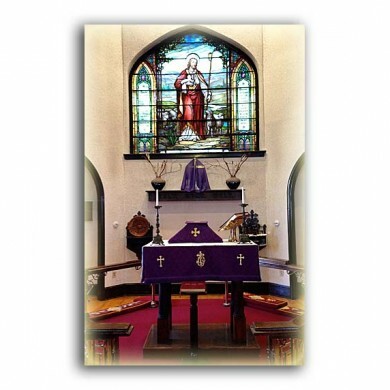 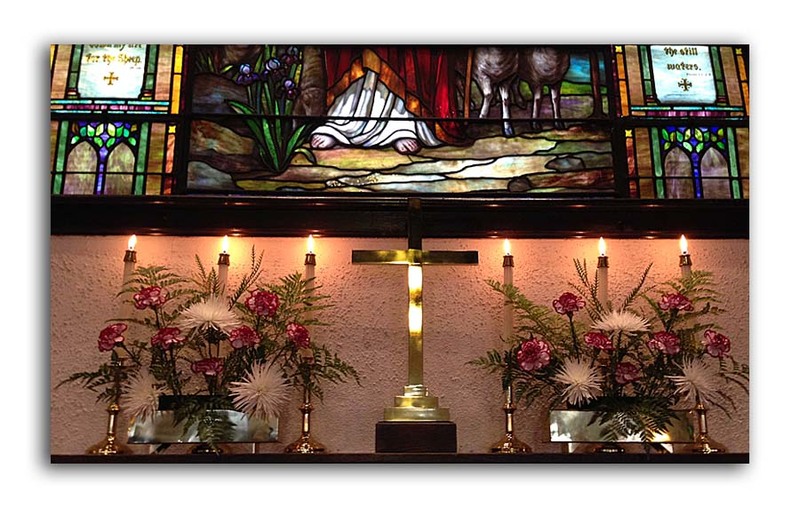 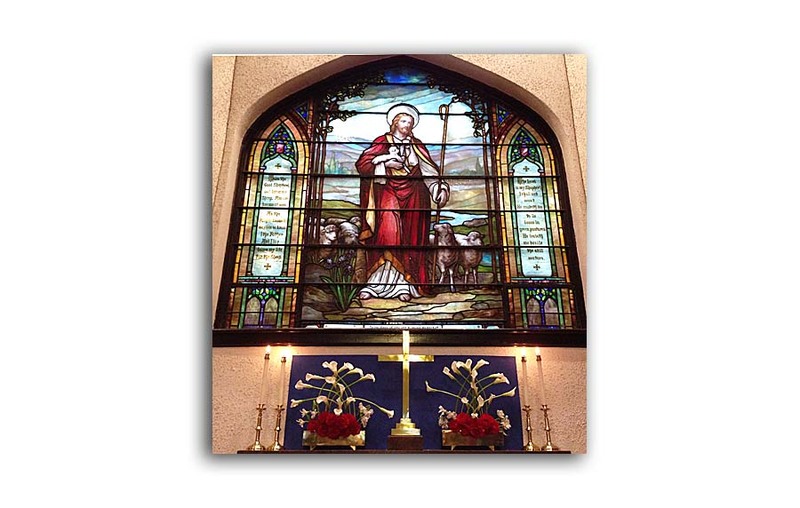 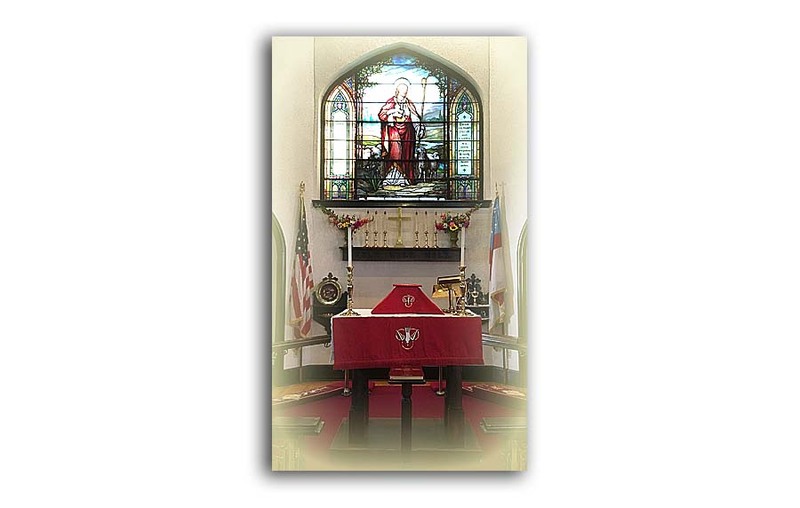 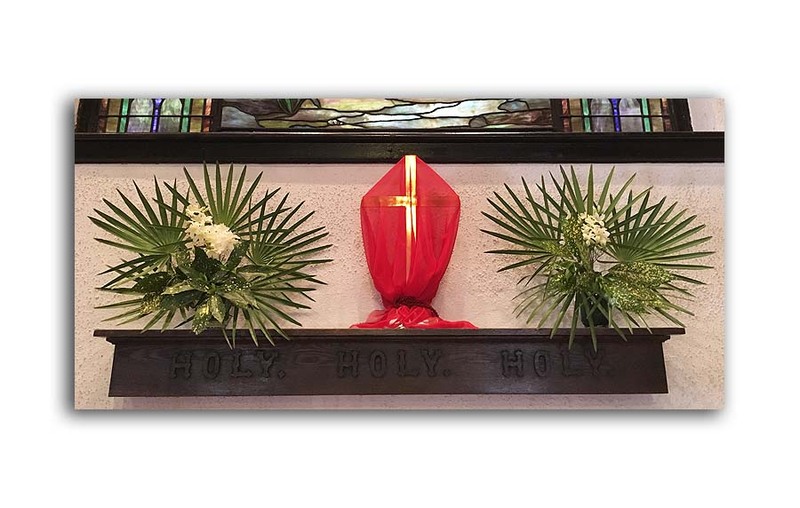 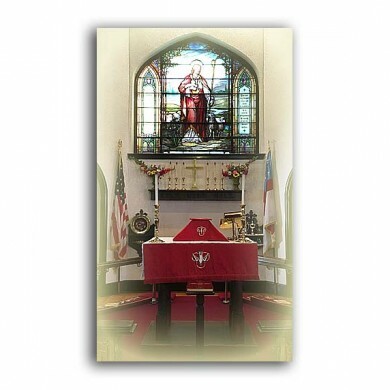 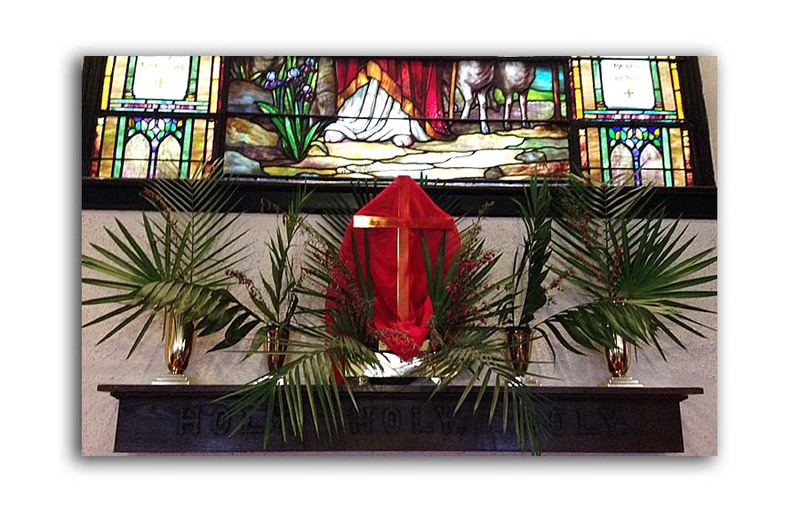 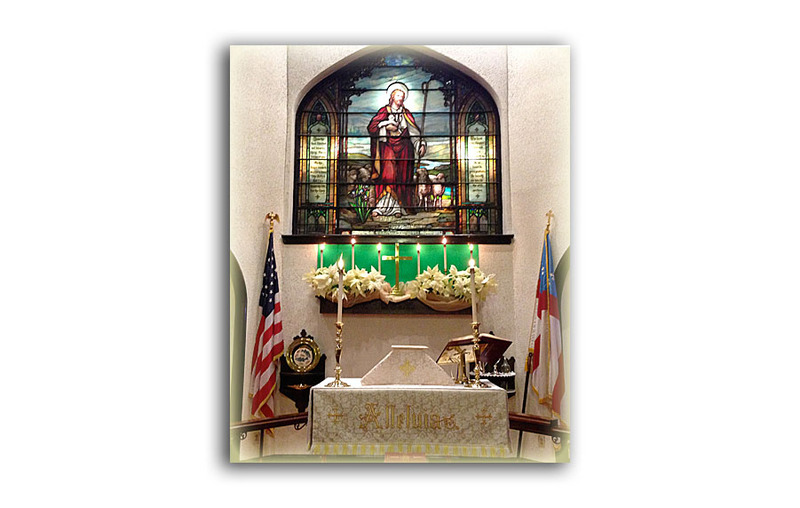 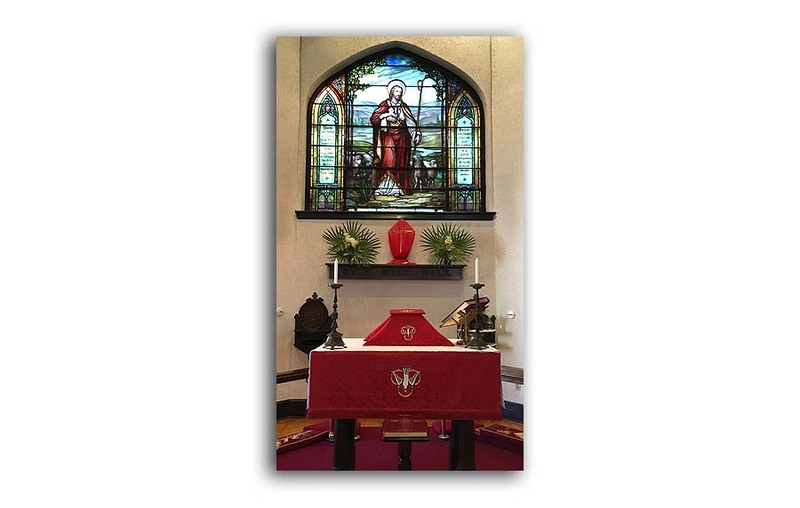 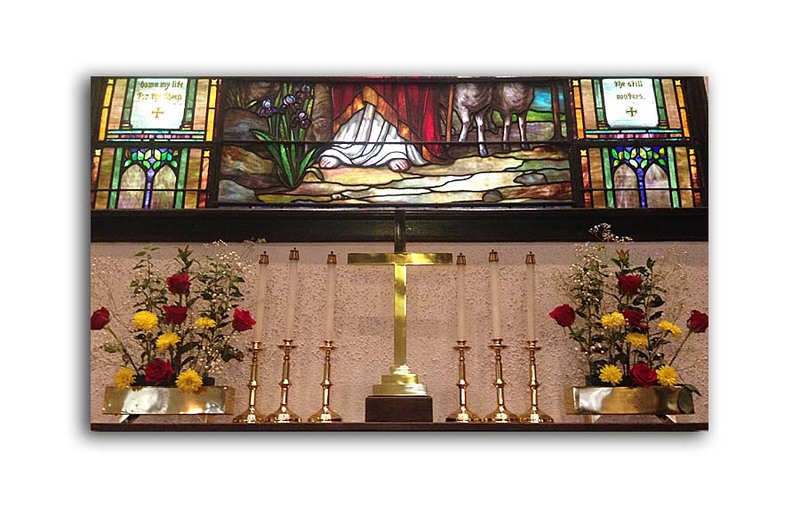 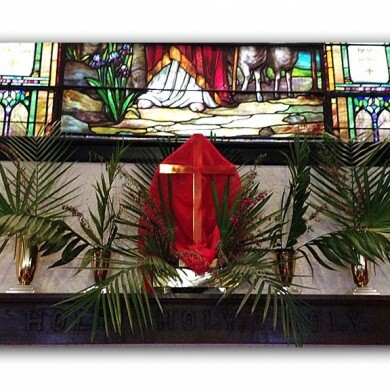 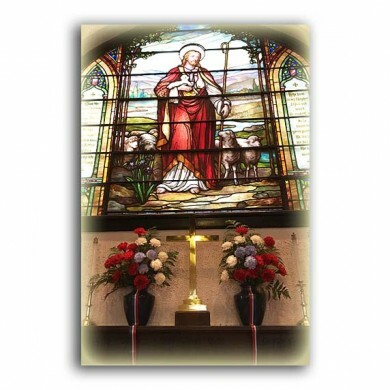 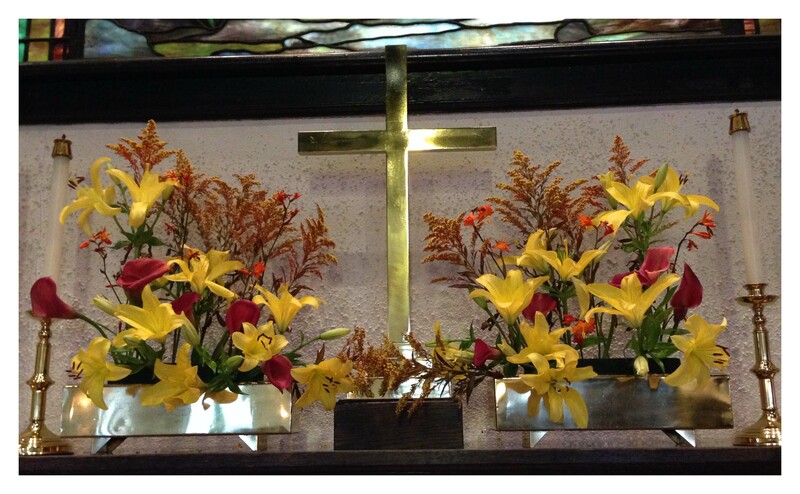 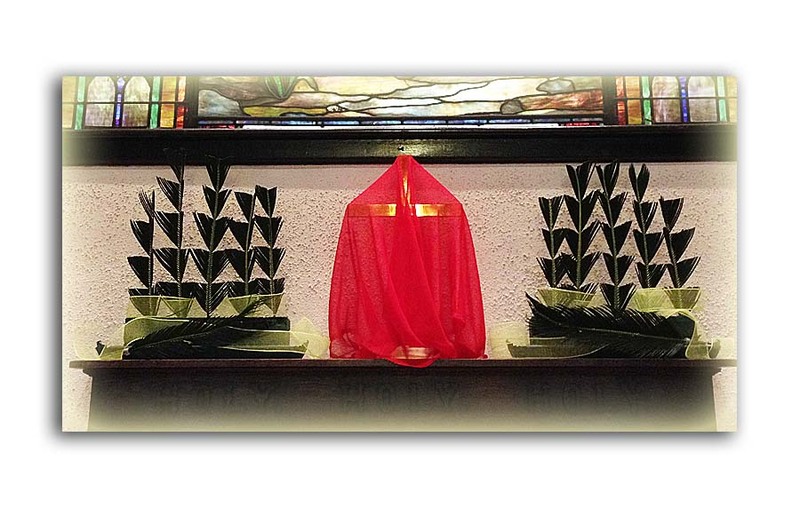 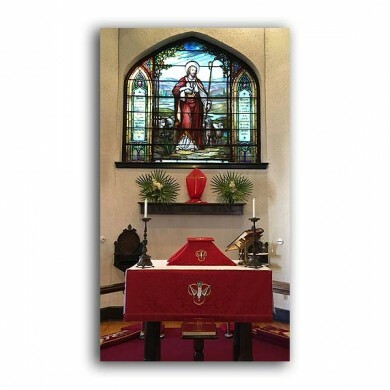 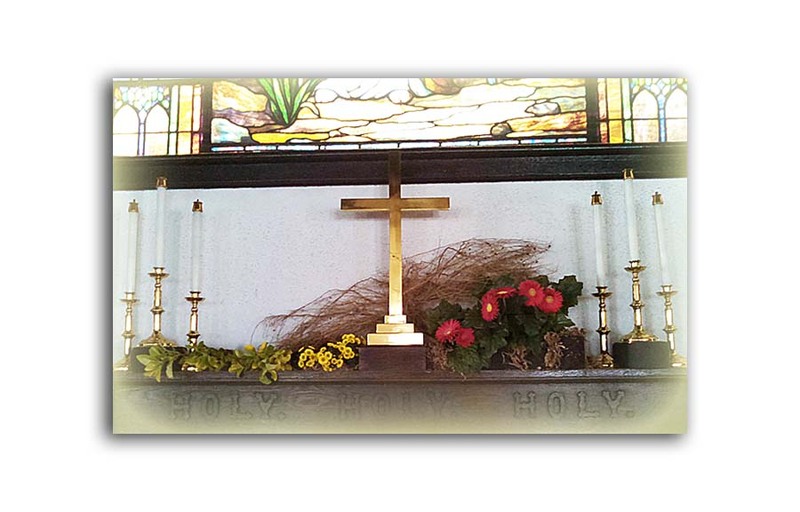 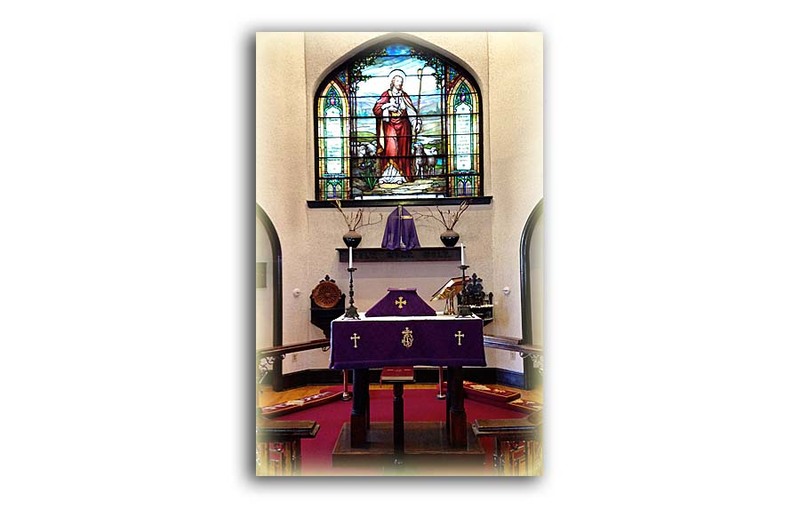 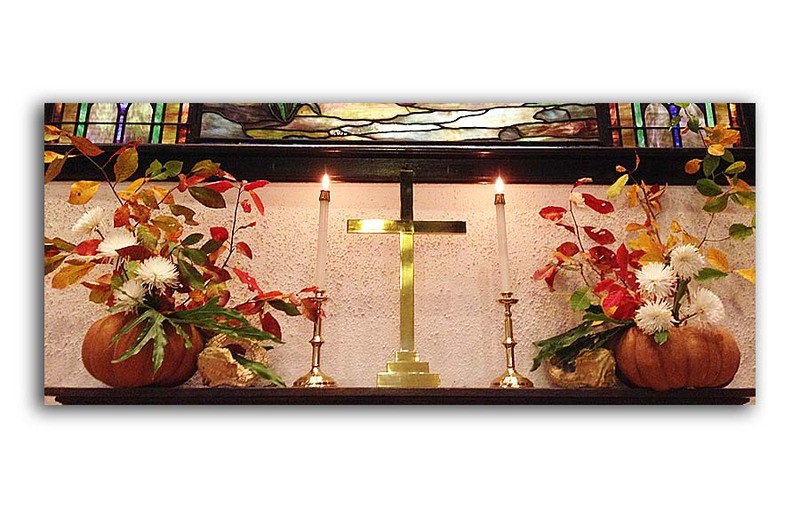 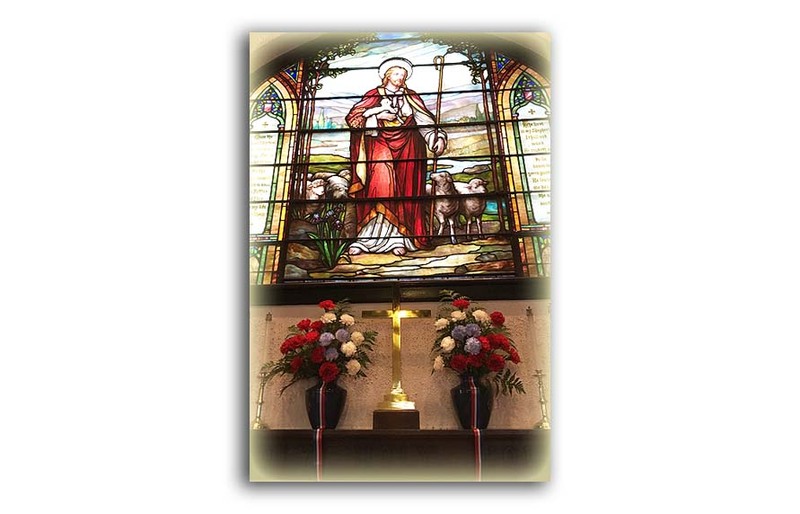 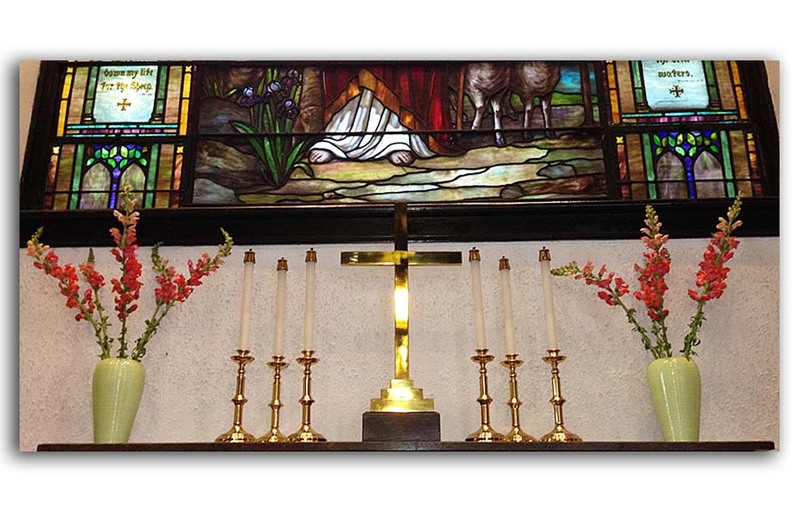 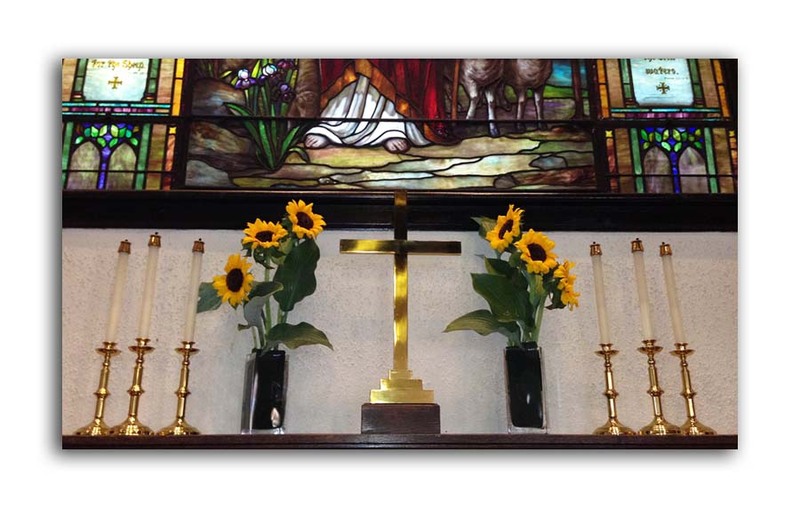 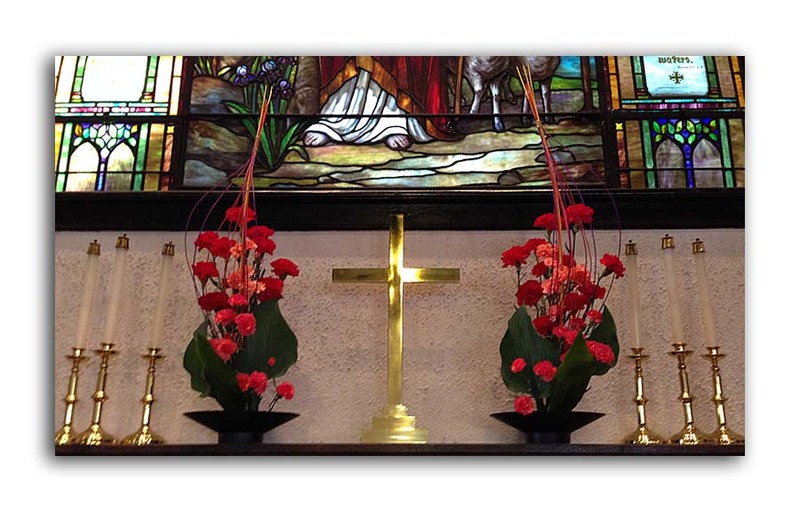 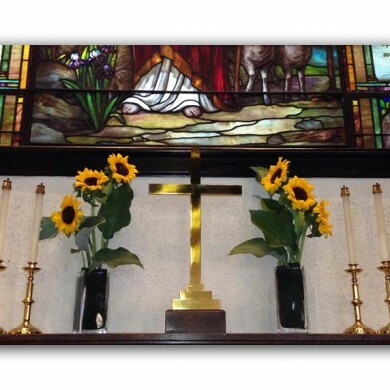 To see the full image, click on each Altar Guild Gallery or Reredos Gallery picture below.